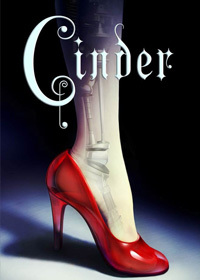 My guess is that some of you know about Marissa Meyer’s Lunar Chronicles series. You know, the one that starts with Cinder. She went ahead and listed the 10 best books/series that she read in 2014. Since she’s a YA author, you already know that she has great taste in books. Check out her list and add all of those titles to your stack of books to be read. Normally, bingo is a lame game. 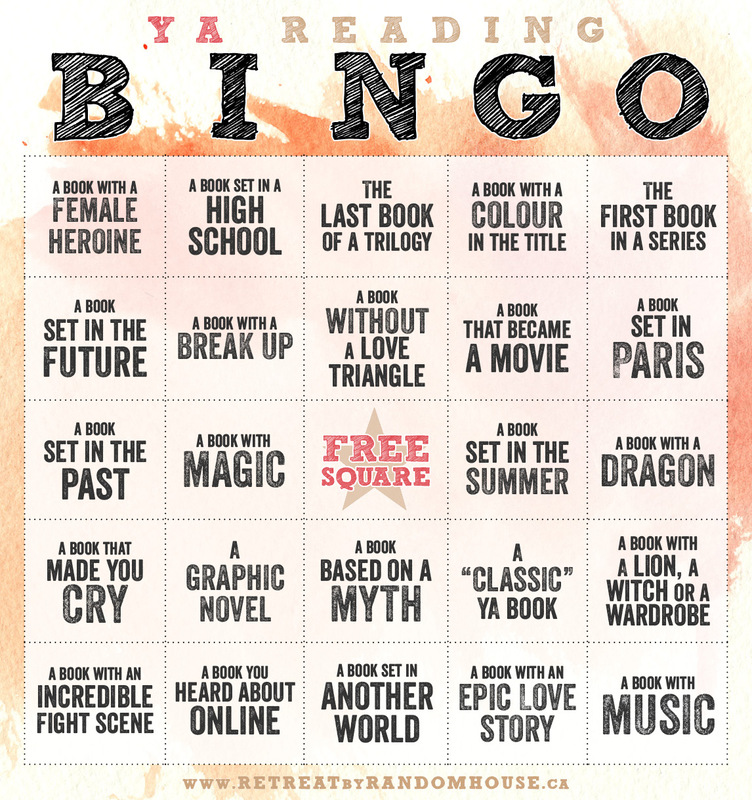 Book bingo, though? Now you have my attention. Today’s holiday is a moment that is marked by hatred and tragedy, triumph and persistence. The fact that human beings had to fight for their right to be considered equal to other humans is something that never ceases to sicken me. The fact that it still continues to this day is downright depressing. There is hope, though. The idea of fighting for civil rights finds can be found all over the YA canon. The more we read about this topic, even in fiction, the less likely we are to continue the cycle in real life. I’ll start with the Harry Potter series. In Harry’s world, there is a hierarchy of blood purity that some still follow. To these wizard, pure humans are, of course, the lowest form, but they still reserve their hatred for wizards who are born to fully-muggle parents. The slur word for them, “mudblood,” is one that cuts deep. While there is no de-facto protest movement in the Harry Potter novels, there is still the matter of these wizards standing up for themselves. Since Mockingjay Part I is still in theaters, let’s go ahead and examine the Hunger Games trilogy. The citizens of Panem, those who reside in the poorer districts, are all enslaved. They are fenced in, cut off, under curfew, and subjected to cruel and unusual punishment by those in charge. Regardless of skin color, the residents of the lower districts are marginalized, demonized, and broken by the existing social structure of their world. There are the people of Ishval in Hiromu Arakawa’s manga, Fullmetal Alchemist, whose homeland is taken over by a mighty military. The Smokies in Scott Westerfeld’s Uglies are yet another persecuted group. Brandon Sanderson’s Mistborn series has its skaa. And while few people have read it, I have always loved Ursula K. Le Guin’s The Eye of the Heron for its amazing story of a space colony caught up in its own civil rights movement. The worlds of YA mirror our own in many ways. There are tales of oppression, messages about “the other” and the ways in which they are ostracized, stories of interplanetary love. They all come to the same conclusion: hatred for your fellow man (or alien or cyborg or ghost or robot) is one of the universe’s darkest traits. We will always explore these conflicts, because our own sad history is rife with them. One of the best ways to deal with it—to learn to move forward—is to familiarize yourself with the struggles of others so you can empathize with them. That way, when it’s time to figure out what is right, you’ll know where you need to stand. In this amazing TED Talk, Chimamanda Adichie discusses amazing stories, the need for diversity in writing, and the danger of stereotypes. You absolutely have to watch this. VIDEO: Brandon Sanderson Wrote HOW MANY Novels Before He Was Published????? It’s a kind of a scary thought: Brandon Sanderson had written 12 full manuscripts before one of them was accepted and he became a published author. Check out this video and learn more about a talented writer who had to push on despite receiving mountains of rejection letters from publishers. The music is pretty cheesy, the words are great. A few weeks ago I was awestruck by Paul Pope’s BATTLING BOY graphic novel. 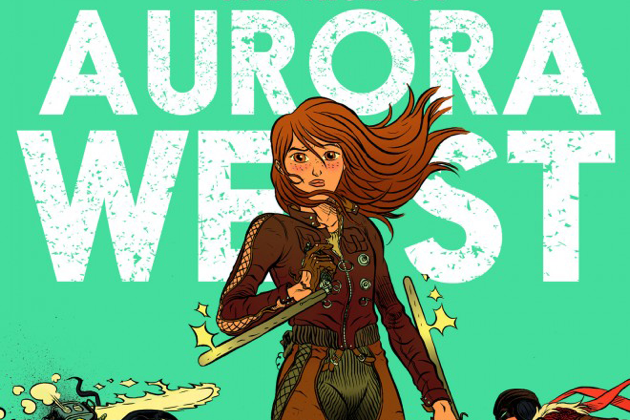 I was searching for the sequel, which I thought I had found when I came across THE RISE OF AURORA WEST. But something was different about it. Unlike the original comic, this one was the size of a manga. And the art was all black and white. And it turned out to be a prequel. That said, AURORA is another great graphic novel work seeking out. It builds upon the world that Pope set up in BATTLING BOY and gives far more time for us to learn about the daughter of hero Haggard West. Needless to say, Aurora is shaping up to be a character with depth. We learn about her family history, an invisible friend, and her insanely busy education and physical training schedule. The honest criticism: this is not as good as BATTLING BOY. The art seems slap-dash at times and the story has a weird moment in which Aurora turns to one of her classmates out of nowhere and says something along the lines of, “Hey, can I trust you and tell you everything?” Then she brings him along on all of her investigations.